Do you know what Christopher Nolan’s The Dark Knight Rises was missing? 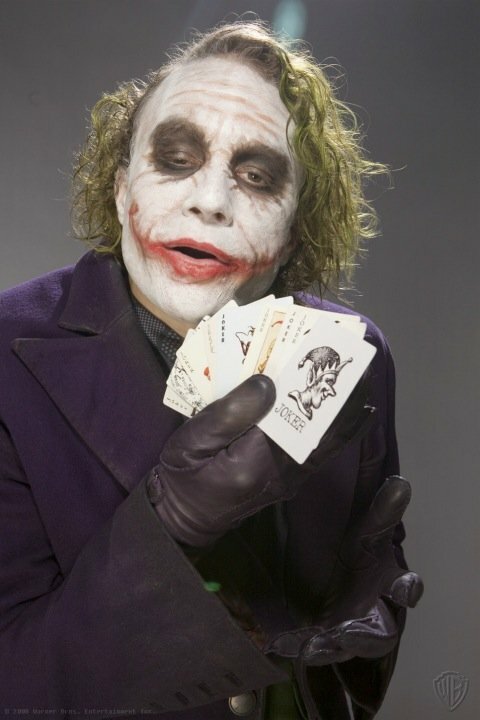 Heath Ledger’s Joker. Obviously, Nolan couldn’t do anything about his actor’s untimely death. But I’d give any sum to hear how Nolan might have used the clown prince of chaos in his trilogy capper had Ledger lived. 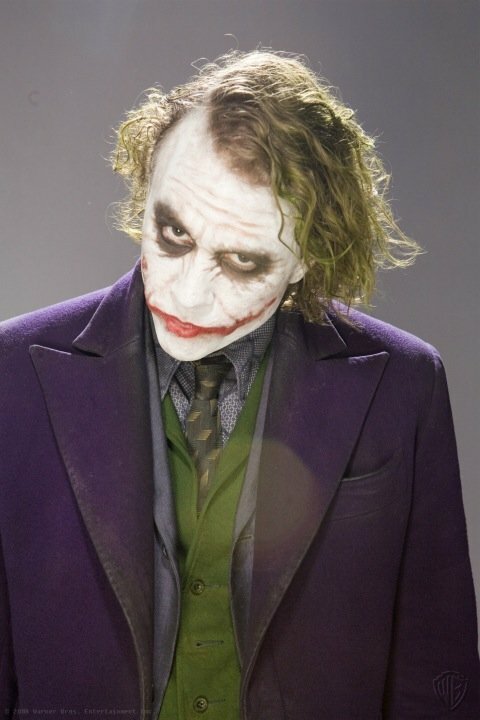 Can you think of another character from recent movie history whom you’d like to spend just a little more time with besides Ledger’s Joker? No matter the amount of screen time he received in The Dark Knight, it never was enough. 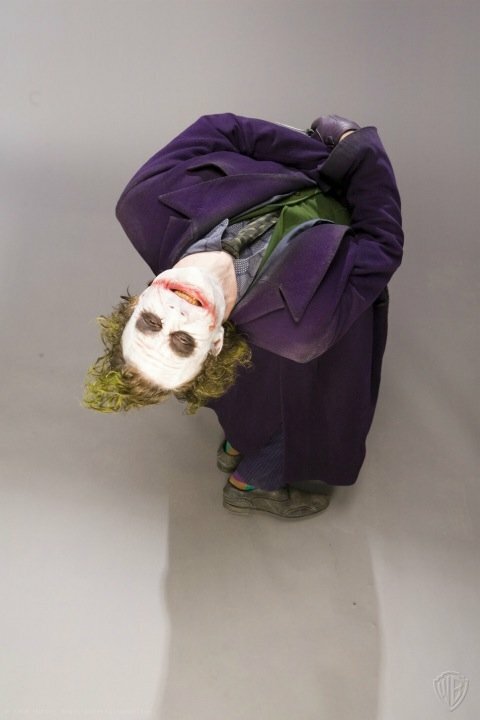 The best part about these photos is that Ledger’s is bathed in full light, allowing us to appreciate the fine details about his make up and costuming because we’re not trying to drink in the minutia while Batman is punching him in the face or throwing him around an interrogation room. As someone says in the comments section under the photos, something doesn’t look completely right in Ledger’s eyes. Let’s chalk that up to the actor losing himself in this role, which earned him his well-deserved Oscar. Sadly, it was a posthumous win, and Heath wasn’t here to run the victory lap with Nolan, Christian Bale and the Dark Knight crew. But we’ll always have his memorable portrayal of The Joker, and these stunning images are a welcome reminder of his accomplishment.